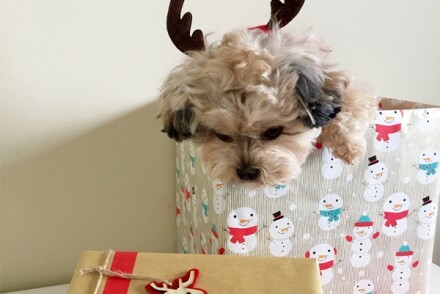 Update: Congratulations to Nicole M. on winning this giveaway! Every once in awhile I love dressing up with a femme fatale edge in mind (think Scarlett Johansson as Black Widow). That means a seductive outfit in all black, smoky eyes, and dark red lipstick. Of course, the look wouldn’t be complete without the right accessories. When I think makers of femme fatale jewelry pieces, Wildfox immediately comes to mind. 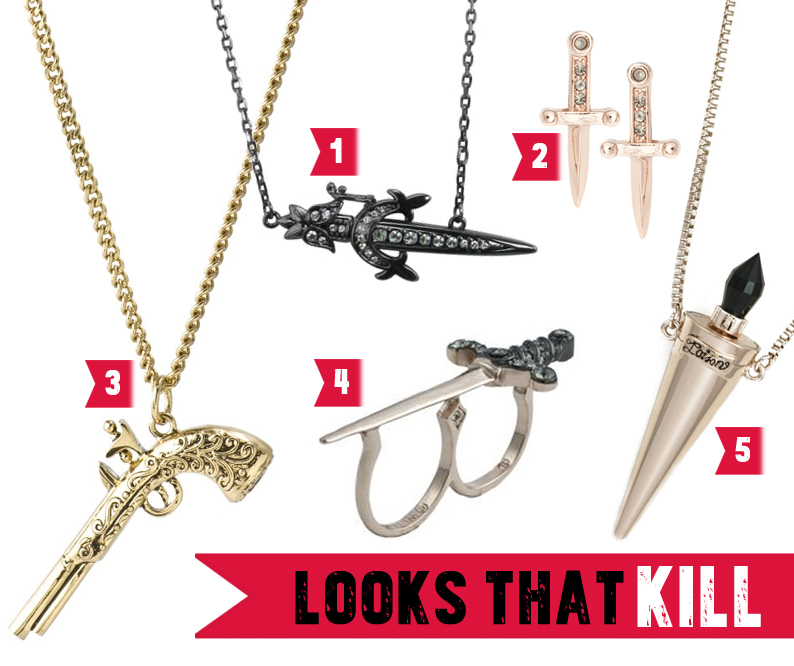 They’ve got killer jewelry pieces, from daggers to poison vials. Sweepstakes begins Friday, May 16, 2013, at 12:00 a.m. EST, and closes on Friday, May 23, 2013, at 12:00 a.m. EST. 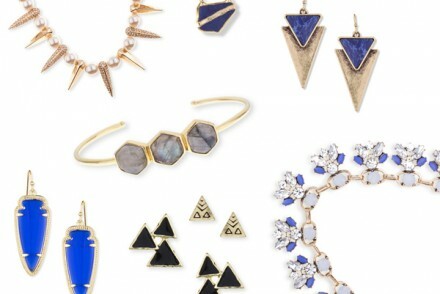 The earrings (No.2) are my favorite though I would definitely wear them all! I love edgy jewelry. It can easily make any outfit sassy! I love #3, the gun charm necklace! The detail on the charm is spectacular! 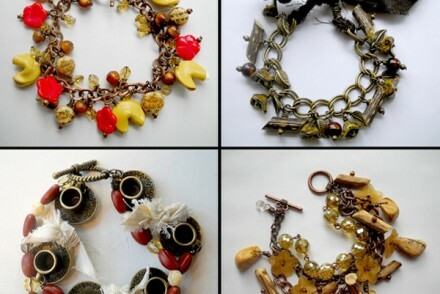 What a cool jewelry! You always have such gorgeous giveaways!! OH MY.. I LOVE the Poison vial necklace shown! I love this sort of “charms”.. working ones. SO much fun! I want this. The petite dagger earrings are my favorite. I love the Poison Vial Necklace. I like the dagger earrings! I Love the dagger earrings! Also loving the stag rings that wildfox made… So pretty! I love the Petite Dagger Earrings! I love the petite dagger earrings. ROSE GOLD POISON VIAL NECKLACE is my favorite. Very cool! Hi! My favorite is the gun charm necklace. Fun!! Thanks! Love the Poison Vial Necklace. My favorite is the 18th Century Sword Double Finger Ring. My favorite is the gun charm necklace! My favorite is the Poison Vial Necklace. My favorite is #3, the gun necklace. I love the Poison Vial Necklace! I love the Gun Charm necklace! Wildfox is awesome! I really like the Sword and Sheath Necklace. Love the sword and sheath!! Thanks for the chance to win! I like the gun charm at poison vial necklace! So fierce!